We provide professional Constructions Site Security services across the Anglia region. At Alpha One Security Services Anglia we have developed close relationships with many leading construction companies working within East Anglia, especially those working on oil and gas facilities, windfarm construction or the construction of infrastructure for windfarms such as roads and supply sites. A recent report from Allianz Cornhill found that the UK Construction industry is losing £800 million per year in thefts from building sites*. These losses range from theft of equipment and heavy plant through to theft of aggregates, metal and even diesel. Despite measures put in place to make it more difficult for thieves to sell on stolen metals, metal theft is still a growing concern. Moves to make heavy plant look more distinctive have not improved outcomes after its theft. Less than 10% of stolen plant is ever recovered. 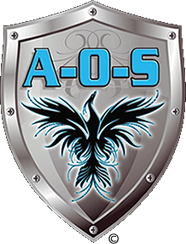 Alpha One Security Services Anglia can help provide the trained and experienced security personnel you need to make sure that your site is secure – 24/7/365! *Source Building and Facilities Management. Our experience in the construction industry means that we are ideally placed to provide you with the kind of tailor-made package your business demands, regardless of where you are located – we already secure sites in Norwich, Great Yarmouth and Lowestoft and many other areas. • Professional company with excellent customer service and rigorous standards of fitness of staff. • Fully insured and all staff first-aid trained. • Many of our guards are licensed to use handcuffs for public safety. A member of the management team are happy to call you. © 2015-18 Alpha-One Security Services Anglia Ltd.